As Joel Embiid has emerged from two seasons wiped out by injuries to begin his professional career, he has become one of the faces of the modernization and evolution of the center position. By pairing his massive 7-foot frame with the ability to space the floor beyond the 3-point arc, Embiid is one of several star big men around the league capable of scoring from anywhere on the court. Embiid did so Saturday night. 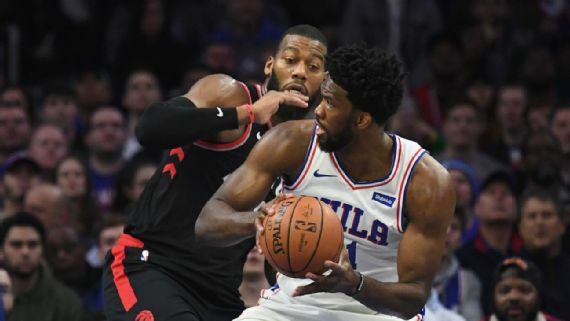 And his performance — a dominant 27-point, 11-rebound effort — not only led to an easy 126-101 win for the Sixers over the undermanned Toronto Raptors but showed why his desire to be on the block more often might also be the right way for Philadelphia to operate moving forward. “I don’t like shooting 3s,” Embiid said. “I only do it because of the spacing that we have, and sometimes I have to take them. I have to be on the perimeter, just getting guys open, because of all the attention that sometimes it seems are presented to me. 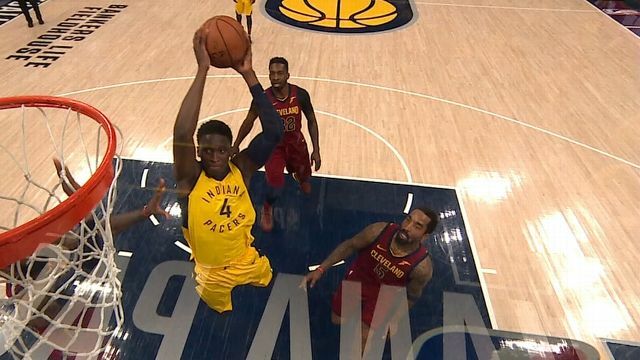 Some of his success — and Philadelphia’s emphasis on getting him the ball inside — was reflective of something obvious: the Raptors being without both starting center Serge Ibaka and backup Jonas Valanciunas, both of whom were sidelined for Saturday night’s game because of injuries. But if Embiid had adjusted to the Raptors being forced to play small by being out on the perimeter more often, it might have played to Toronto’s advantage. Instead, when faced with a size mismatch during the game — which, let’s be honest, is just about anytime Embiid is on the court — he made a point of turning Toronto’s defenders into rag dolls as he repeatedly steamrollered his way to the hoop.